National Collective has said it will not be 'bullied' over Vitol allegations. A freedom of speech row has been ignited over an oil executive's £500,000 donation to the Better Together campaign to keep Scotland in the UK. National Collective, a non-party political group of artists and writers, said it would not be "bullied" by attempts to stop the online publication of an article detailing allegations about Vitol, a global oil firm. The refusal to back down comes two weeks after National Collective wrote about the company's background, prompted by the donation from Vitol chief executive Ian Taylor. 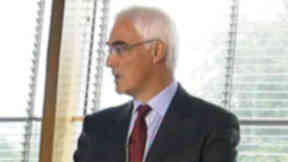 The article makes allegations about the firm's deals in Iraq and the former Yugoslavia, and was removed from the internet until Thursday when the group, backed by solicitor Aamer Anwar, announced it would stand by its action. 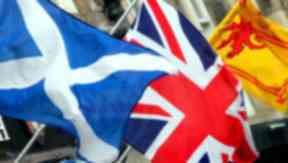 In a statement following a media conference in Glasgow, National Collective director Ross Colquhoun said: "Almost two weeks ago we published an article raising serious questions into Ian Taylor, the major funder of the No campaign against Scottish independence. "Ian Taylor and Vitol's lawyers, Collyer Bristow, then threatened to sue us. Such corporate bully boy tactics are an attack on freedom of speech. We will not be silenced or bullied by legal intimidation. This is the world's largest oil trading company oil company but it will fail if it tries to intimidate us. This is David vs Goliath. And Goliath will not win." The writer of the article, Michael Gray, said he is concerned with the "freedom to write without intimidation". He said: "I may only a 21-year-old student, but I will not back down." In a letter to Vitol's solicitors, Mr Anwar wrote: "Our clients are exercising their right to free speech in a democracy." Vitol has acknowledged making some payments to Saddam Hussein's regime outside the scope of the UN's oil-for-food programme but rejects claims they were anything other than surcharges demanded by the state oil company. The firm was accused of being linked to an oil deal involving Serbian criminal Arkan who led paramilitary forces in the former Yugoslavia in the 1990s. The Better Together campaign has said the £500,000 donation from an oil trader was taken in "good faith" and there are no plans to hand it back. 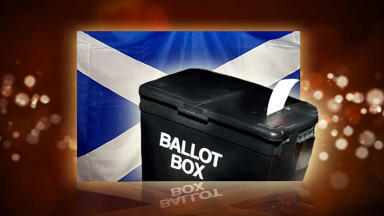 11 Apr 2013 How will political donations influence the independence referendum?